Thinking why you are experiencing device slowdown with your IPhone? The device manufacturer admitted and apologizes to their customers for the poor efficiency. They also give a valid excuse claiming it was done to prevent sudden turn off of device and conserve battery life. The excuse given was not satisfactory to some customers. They claim the slowdown was done on purpose to satisfy their own selfish means which is to compel them to upgrade their device so as to increase the company’s profit. After seven days, public statement was released appealing to iPhone users to debunk above allegation. They also inform their fans to expect subsidized battery which will maximize the efficiency of an old device to its brand new state. The subsidized battery will be available as from January, 2018 till the year ends. Also, they will make an advanced software available which will enable customers track the health of their phone’s battery. With this they will be aware when battery’s state of health starts to affect its efficiency. They also claim they will never result to compelling their customers opt for upgrade to increase their profit. Our goal is to design products that are acceptable and durable for their customers so they have no intention to do otherwise says device manufacturer. It cannot be concluded that a press release and a subsidized battery option can make up for the inconveniences or regain their customers trust. Rechargeable batteries are items that deteriorates with time and become less efficient. When this happens you charge the battery more than before. How you use the phone also has an effect on the efficiency of the battery. For instance connecting your phone to power supply in an unsuitable environment can speed up ageing. The device may turn itself off without warning under some circumstances. If the battery efficiency is low it will not provide optimum energy loads. 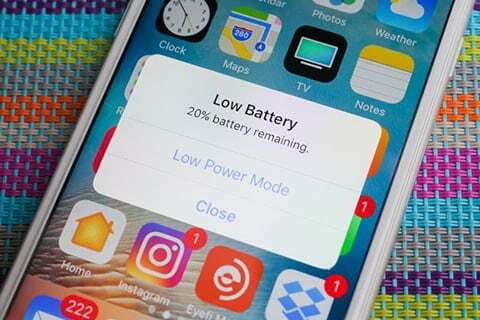 (2) To enlighten customers more about iPhone’s battery and the things affecting its efficiency, a new write up to address it will be posted.